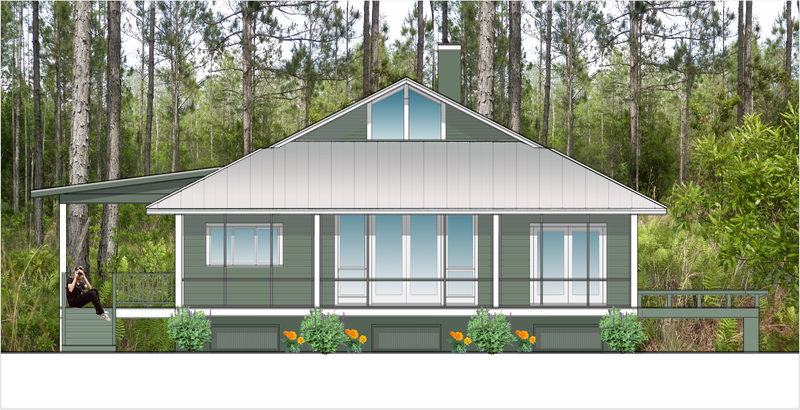 Works in Progress – Michael Dunlap Architect, P. A. This three-story mixed-use project is in early design stages & construction is expected to begin summer of 2017. The 54,000 gsf colonnade building includes brick veneer, stucco, metal storefront vertical gardens, solar voltaic power systems, & a third level sky room. 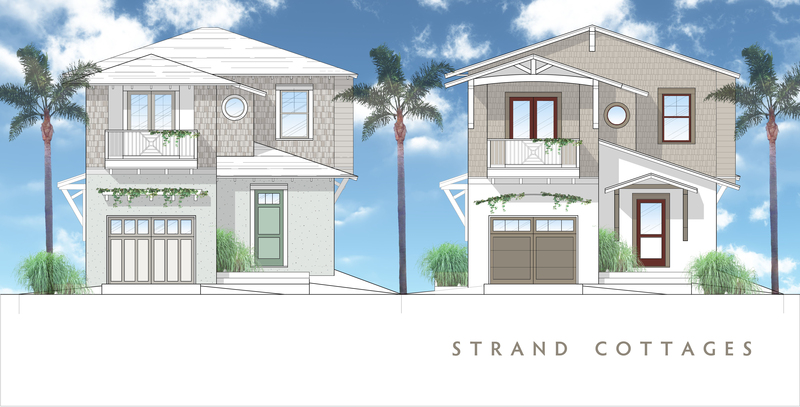 The oceanfront site will contain 2 single family beach cottages, created along the traditions of the neighborhood beach character. 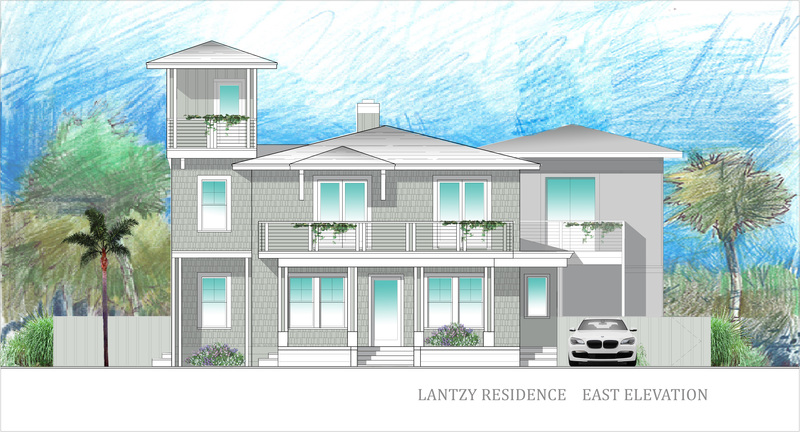 The well-executed craftsmanship, which utilizes natural materials & extensive landscaping, will begin spring of 2017. The two-story 7000 gsf residence fronts the canal along Roscoe Blvd, & is clad in tumbled brick veneer, cedar shingles & capped with a standing seam metal roof. Construction is expected to begin spring 2017. 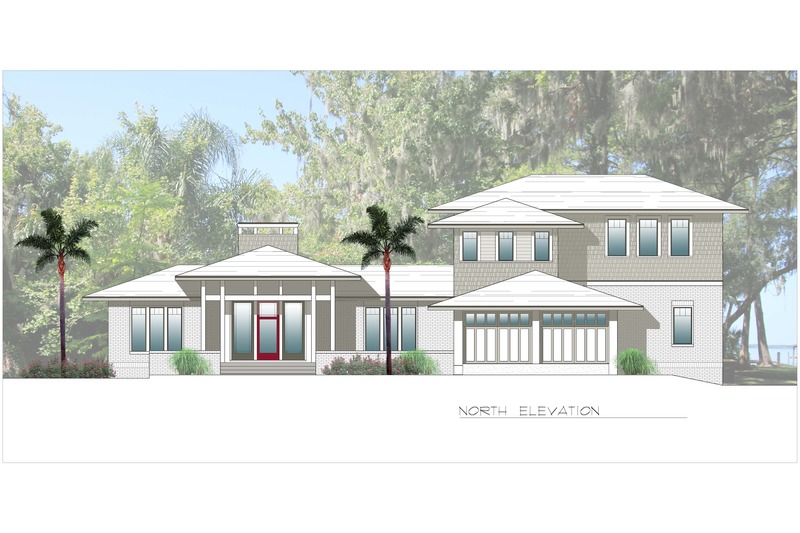 The two-story 3100 gsf residence is in early design stages, located along the St. John’s River in the San Jose area. Construction phase to be determined in 2017. The one-story lake house is located on Lake Fanny, Hawthorn, Florida. The 1266 gsf house includes a 2 story main hall. The construction phase will be determined summer 2017. 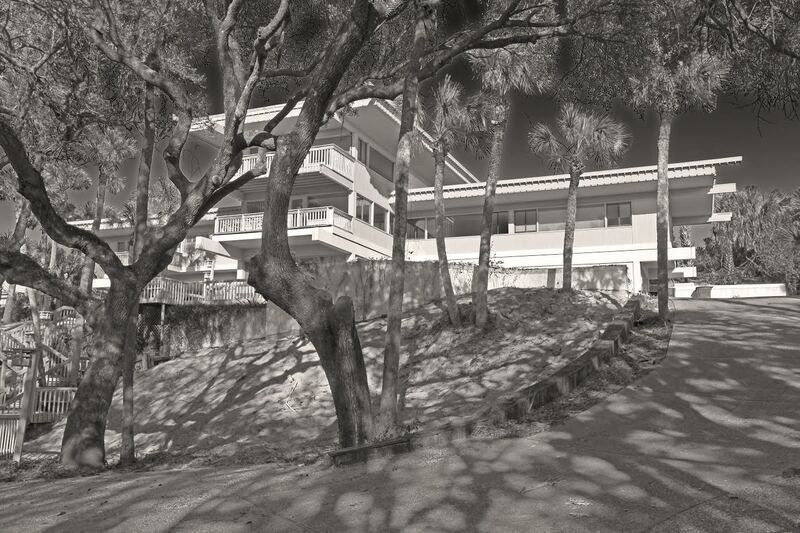 Designed by renowned Architect Robert C. Broward in 1986, the new owner has commissioned overall enclosure & all system upgrades to the 6000 gsf 3 story residence. Additions & reconfigurations within the footprint of the house will be made, as well as extensive landscape renovation of the entire site. Construction complete Spring 2018. The historic two story quad-plex project will be modified to create two units that front South First Street; the project envelope will consist of new windows and doors, wood shingle, board and batten siding with a new shingle roof. Construction to begin Spring 2018.